Nagasawa is a pen shop based in Kobe, Japan. I believe it’s full name is Nagasawa PenStyle- DEN. Annoyingly, I went to Kobe a number of years ago, and can just imagine obliviously walking straight past this shop. I have bought a number of items from Nagasawa in the past via their eBay shop. Mainly the rare Sailor Kobe Nagasawa inks. 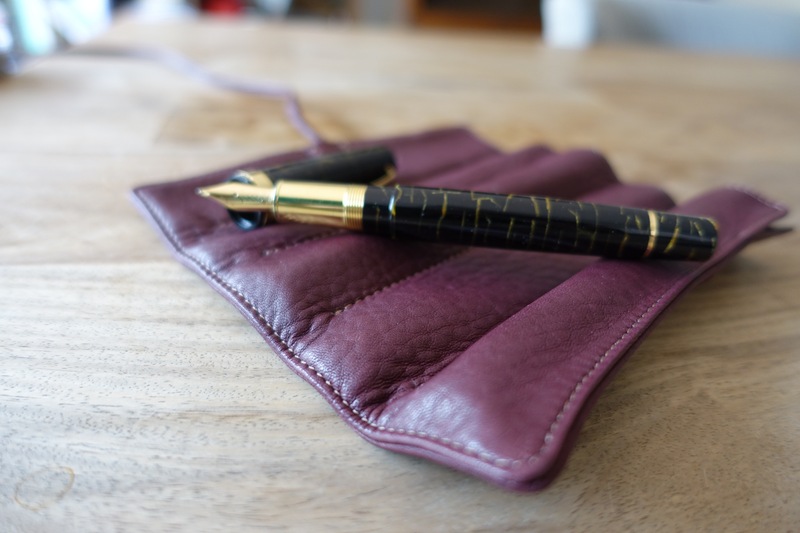 I spotted this very soft Nagasawa 6- pen leather pen wrap together with a number of similar products such as their 1-pen, 3-pen and 10-pen wraps. This is the 6-pen leather pouch in red sand…more of a burgundy. You can also find it in black. 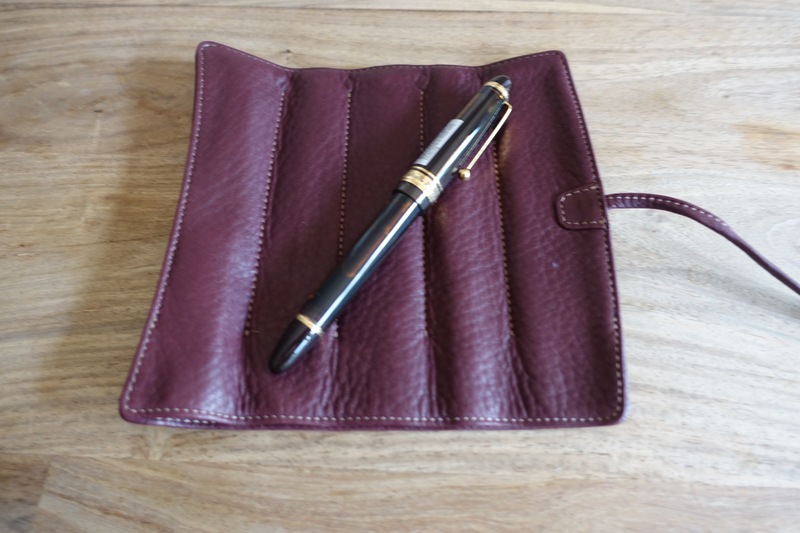 The nice thing about this pouch is that the leather is so supple that once wrapped, it can stand upright and the sides can be pulled down for easy retrieval of your pens. Nagasawa leather Paper weight/ Palm- rest/ Pen- rest? I wasn’t really sure what this item was when I saw it on eBay but loved the soft Nagasawa leather so naturally had to buy it. They describe the item as a paper weight or a palm rest. I sometimes use it as a palm rest for my Macbook. It comes neatly packaged in this tiny black box. It also works great as a pen rest as shown below. As the leather is so soft you can sit many pens on this tiny leather cushion and they won’t roll off. Like a tiny, premium leather bean bag.